while once again the dark of night appears. we muse on how what’s passing cannot stay. the twinkling heavens glory in their prime. within a moment of illusive time. the cosmos calls us when our day is done. A bit about Harley: Born in Southern California, Harley White double-majored in English and Psychology. She lived in Big Sur for 12 years, where she wrote a Trilogy of Musical Theater works based on fairy tales. Later she moved to Granada, Spain, with her second husband. The tragedies referred to in her book called, The Autobiography of a Granada Cat – As told to Harley White, are the deaths in the 1990s of her only two, adult children from her first marriage. She attributes her survival and present wellbeing to her practice of Nam Myoho Renge Kyo. She contributes her efforts to books and a website project of various Buddhist writings of Nichiren Daishonin, which can be seen here. 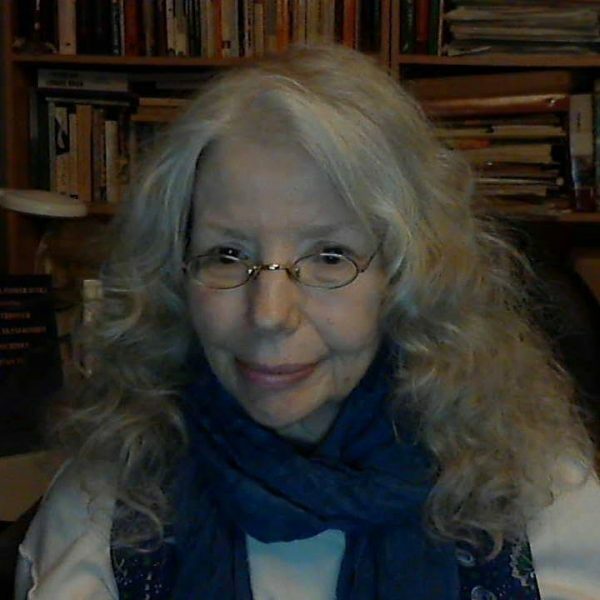 In addition, she has her own page called "Poetry with a Buddhist Theme" at that website here.